@Quiralta 😂 haha, don&apos;t worry. Yes, minor things happened and I&apos;m happy it was only minor and no big deal. But it was relevant I couldn&apos;t longer manage moderation alone with "my rule/my way". We needed a set of common rules and clear steps to moderate things in the future "in case of". That wasn&apos;t evident! 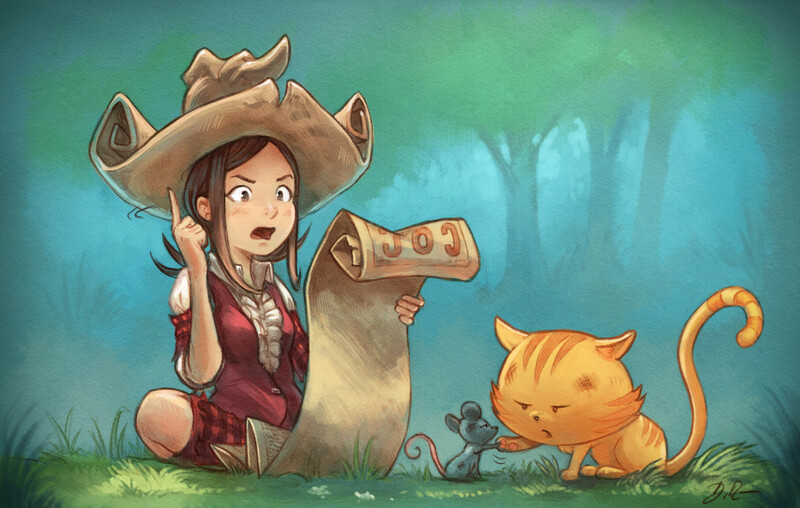 @davidrevoy The cat and mouse interaction is hilarious on the illustration. Love it. Cheers. Once again, I like this artwork. Also the finger up to the sky is a mark of an additional authority.